I’ve written about knives here on Tools & Toys before when I looked at what knife enthusiasts call an Everyday Carry knife. These are tools — most of them look like tools — as they are knives for knife people and not something most people would look at and want. Full disclosure: I am very much a knife person. 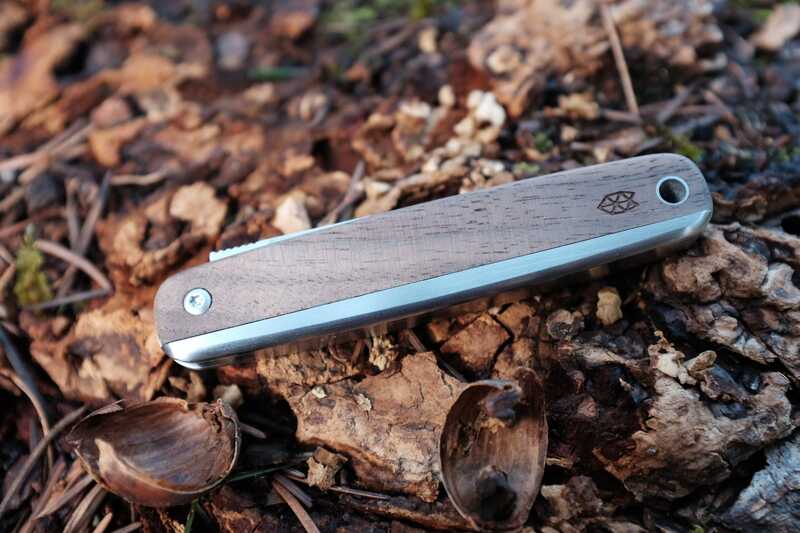 The James Brand County knife is every bit as beautiful as it is useful. The statement it makes beyond you carrying a knife, though, is completely up to you. You can tell a lot about someone based on the knife they carry. Anyone carrying the Small Sebenza 21 tells the world they really know their knives. This is where our last knife guide ran into a problem — all of the knives were something functionally great (though there are some outstanding looking ones there), but if you want to say something more about yourself, that guide left you to your own devices. Today, we want to address those of you who don’t object to knives, but also don’t want to carry something which best resembles a tool. You want something functional, yet lovely, that can sit on your desk waiting for you to take your next Instagram workspace. 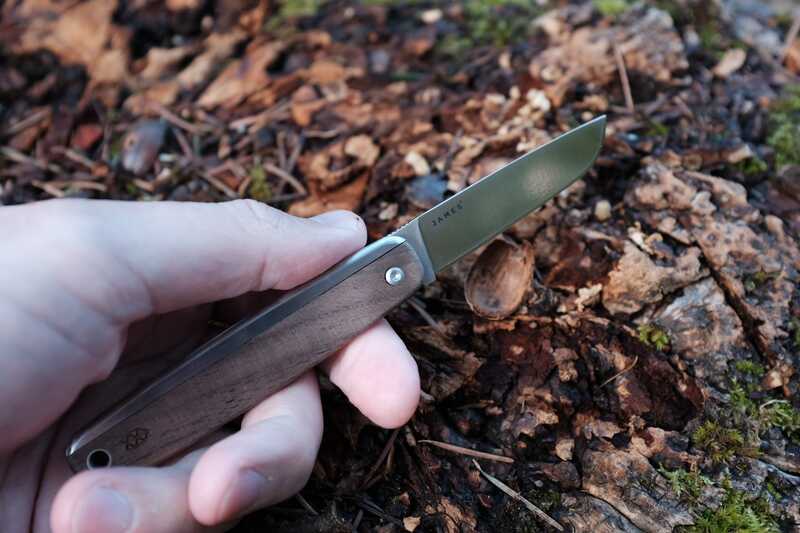 Today, we talk about the James Brand County knife. The James Brand branding is etched into the blade, helping make it less a tool and more a work of art. 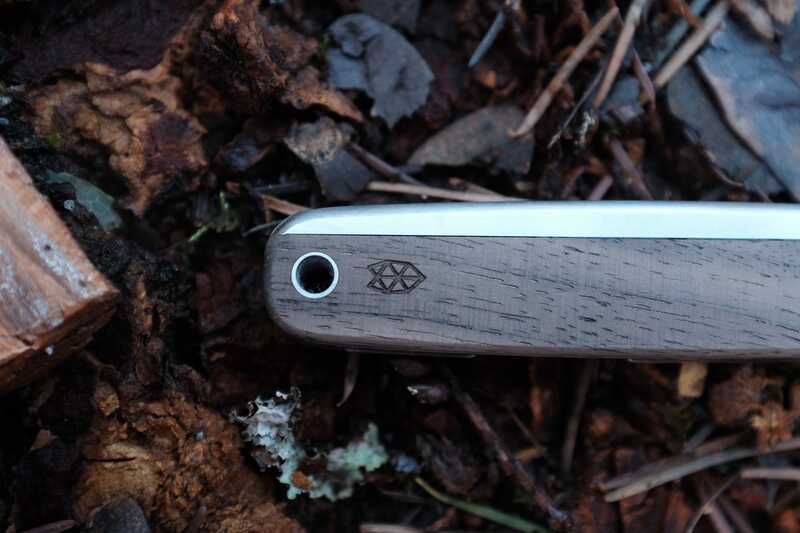 It is unlike any other knife I have held in my hand before — it makes quite the statement. This is without a doubt one of the most beautiful knives I have ever seen. Its finish is almost perfect. The tolerances between the materials — at the seams — are as close to perfect as anything I have seen on a knife. If you are the type of person so inclined to believe that finishing the back of a drawer is the mark of a true woodworker, than you have found your statement with this knife. The County is less of a tool than it is a work of art. Even that though is a bit disingenuous. The County is a perfectly functional knife — it is just functionally different than every other knife I carry. The County has a bit of nostalgia to it, reminding me of the Schrade Old Timer knives of old. When I first saw the County I was immediately reminded of the Schrade Old Timer knives — the mix of metal and wood, the thumbnail open — it took me back to my 7th grade wood shop class where we spent months carving intricate fishing lures. 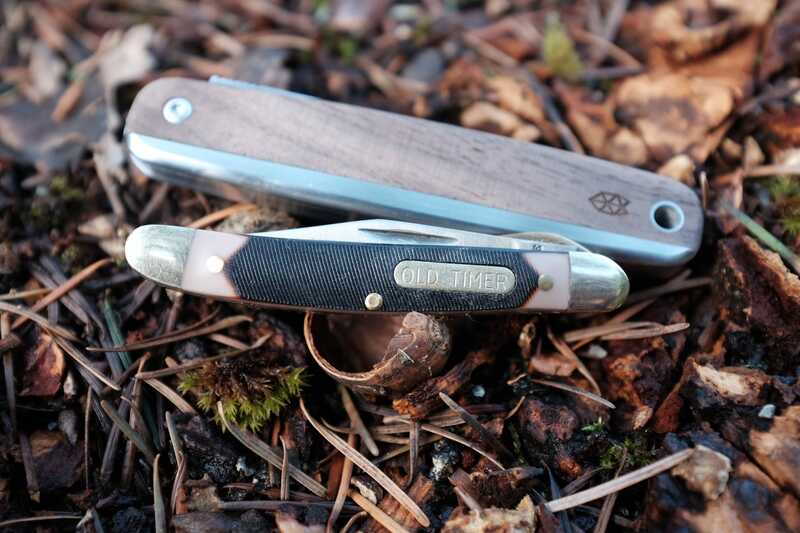 Those Old Timer knives seemed ancient even back then to me, but they worked. 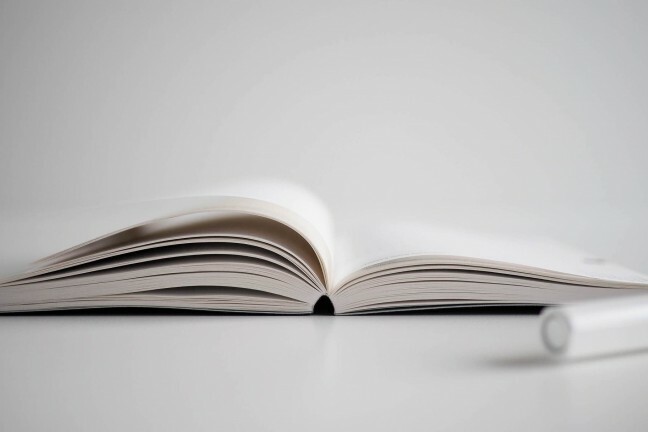 They are a classic that you can still buy today — a classic which speaks of a more deliberate time. It’s a knife your grandfather carries, which he pulls out, deploys, and uses at a very slow and intentional pace. The world was slower then. Actually, this is the best way to define what the County knife represents: it is deliberate and intentional. In choosing the County as your knife, you are opting for the deliberateness, and sometimes that’s not a bad thing at all. I’ve long stated knives are a functional tool, and should be treated as such. The County is no different, because while it is beautiful, it would be worthless if it couldn’t still be used as a tool. And, happily, the County is very much a solid tool. The County uses a traditional, non-locking mechanism that is opened with your fingernail. 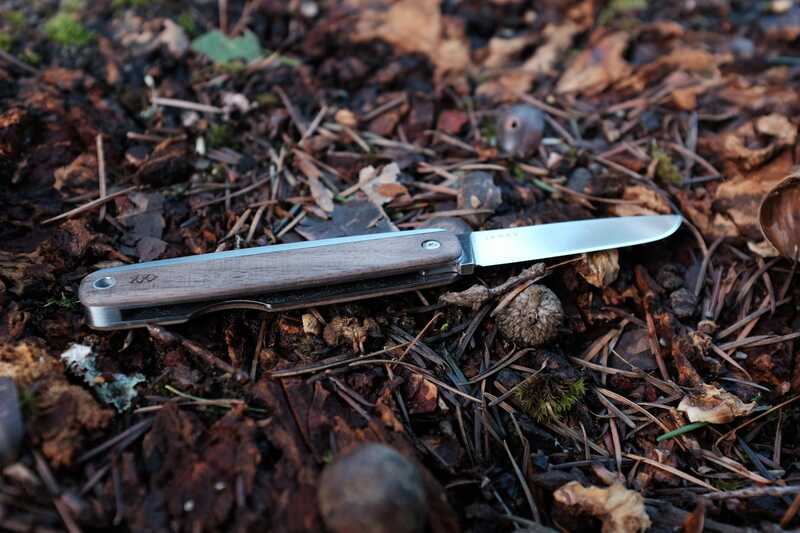 The knife uses a traditional, non-locking, mechanism which is to be opened with your fingernail. Upon first arrival this mechanism was tight — so much so that it felt like my fingernail might actually give before the knife opened. I spent half a day working the mechanism while on work calls and it did loosen considerably during that time. After a few weeks now, the knife has settled into a nice firmness. It isn’t something which is easy to open, but that also means it isn’t something which will easily snap closed on your hands. This is where deliberate really becomes a thing with the County. In almost every instance of using it, I had to take time and care. Whereas with a thumbstud opener, I could flick the blade out and open a package quickly. Using the County was more akin to settling down at a mahogany desk, carefully pulling out a letter opener, and then meticulously opening an envelope. If you’ve seen Breaking Bad, this is the knife Gus would use. Functionally the task is still completed and completed well. Practically though, in almost every case, using the County instead of my other knives is a much slower process. 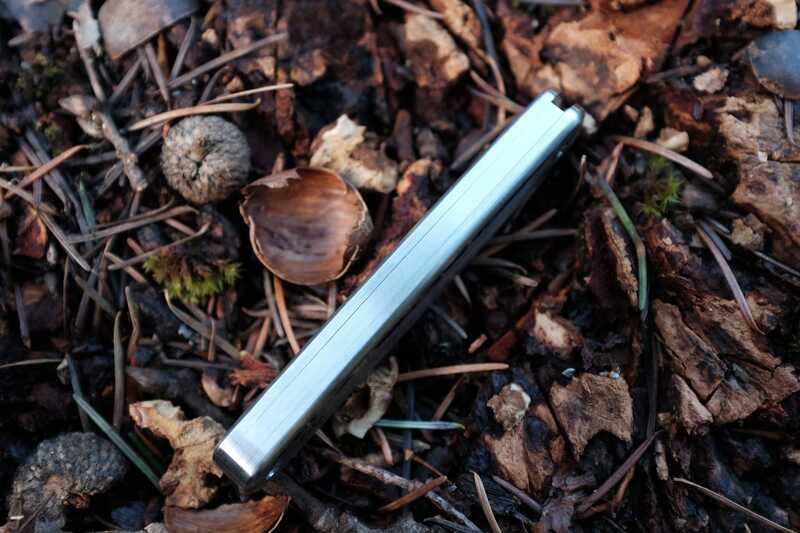 The James Brand company uses Sandvic 12C27 for the blade steel — a steel I had yet to encounter. 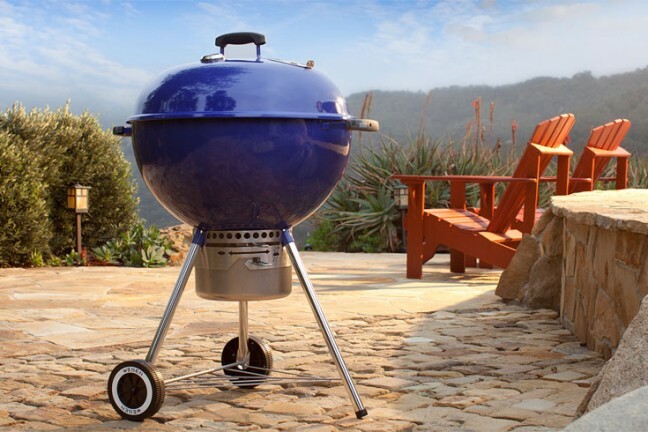 As you might guess, this is a Swedish steel and fairly well regarded in the industry. It’s not a top of the line steel, but for what most will use this knife for, it is a very high end steel for this type of a knife. Even still, this is certainly not a cheap steel and as such I have no qualms with the choice at all. It’s a good fit for this knife. The shape of the blade is what is considered a “normal” blade shape. Generally speaking this is a nice shape, but here on the County I have some reservations about the shape in use. There is no delicate tip to the knife, so your aren’t likely to break a tip off, however this also makes it a bit trickier to cut away something like paper tape from an Amazon package. The County’s blade shape is considered “normal”, but I have some reservations about the blade’s shape in use. Because there is less of a pointed tip on the County, it takes an extra moment to properly start the blade along a cut. The knife doesn’t tend to “bite” into a cut as well as something like a drop point design would. Again, it is a more deliberate cut. So while I could dissect an Amazon package with my Small Sebenza 21 in a matter of moments, the County takes me two or three beats longer to accomplish the same task. The majority of the complaints I have about this knife center around the blade shape itself. It’s just not an ideal shape for my uses, and certainly not the blade shape I prefer. Whether or not this is a blade shape you will love will really come down to your uses. It most certainly still cuts — and cuts well — but if you’ve tried a lot of knives then you likely have an opinion on which shape you like the best. With the County, I have simply encountered a blade shape that I don’t hate, but certainly don’t love. As I mentioned, the blade takes an extra couple beats to open things like Amazon packages. But it’s a blade, and it still cuts. Of far more concern with this knife is how well it stays open. For those who are not knife people, allow me to quickly explain why this might be an issue. 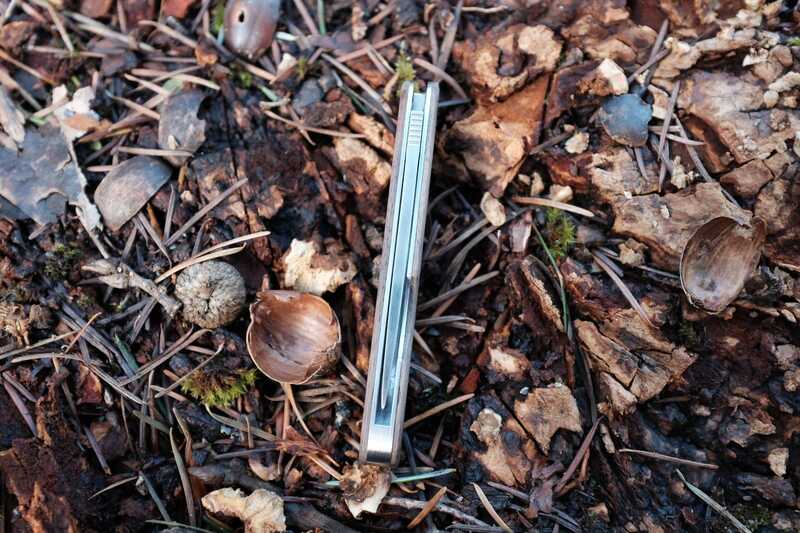 Among folding knives there are two types you will generally find: locking and non-locking knives. The former will not close until you release a mechanism which is locking the blade to the open position. The latter will close without a mechanism releasing it. But why does this matter? Well imagine you have your fingers wrapped around the handle of the knife and you are applying pressure to a cut. Now imagine the knife folds closed. Yeah, that’s the moment when it matters. This isn’t a far-fetched scenario either, as it happens far more than you think it might and even under some circumstances that seem innocuous at first. When the blade is extended, the top side of the County is made of solid metal. Applying pressure straight into something — a stabbing motion. 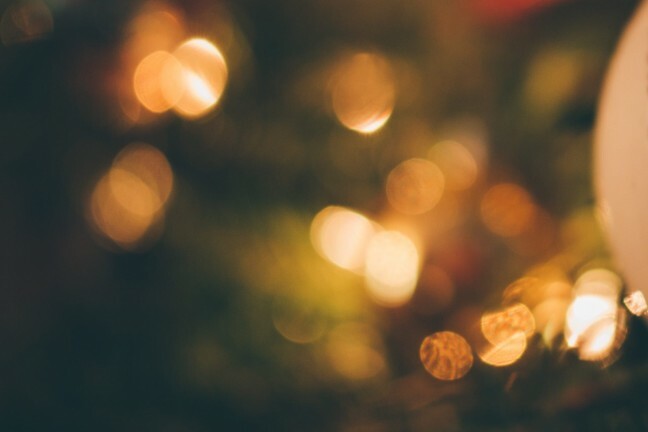 If you are off in how you apply the pressure, the knife will tend to close on you instead of going through the substance you are intending to cut. Attempting to pull the blade back out of a cut. Say you are whittling off a bit of bark and the blade is stuck. You then try to pull it back out towards you, and here the blade tries to close. I tested the first of these scenarios and was impressed with how the knife performed. My test was to attempt to push the knife blade directly through the bottom of a Solo cup — no easy task. In order to protect my hands I did this from the inside of the cup, which kept the knife from being able to actually close on my hands. The amount of force needed to make that cut was more than I anticipated, however the knife performed very well. There was only one moment when I had a bad angle and the knife attempted to close, and it was recoverable before it would have fully closed on my hand. I won’t say this is a safe knife for these types of cuts, but it did perform better than expected. Part of the reason the knife is so firm to open, and takes so much break in, is because that firmness is all that is protecting your knife from closing on you. The reality is that you bought this knife because of the looks. It is easily the best looking knife I have ever owned, and truthfully one of the best looking knives I have ever seen. Dare I say, it feels even better that it looks. The James Brand County is easily the best looking knife I have ever owned, and truthfully one of the best looking knives I have ever seen. In other words, the looks speak for themselves. I’ve had the knife rattling around in my pocket next to my keys everyday, and amazingly I can’t see any blemishes to the knife. So it looks great, feels great, and wears tremendously well. This only excites me more, as I can’t wait to see how it looks in a couple more years. As I said at the outset, this knife makes a statement. And the statement this knife makes is that you value design, you value beauty, you value craftsmanship, and you happen to carry a knife. It’s for people who care about the process, as much as they care about the result. The James Brand County may not get the job done faster or more efficiently than other knives, but it looks the best in the process. You aren’t going to breakdown your boxes on recycling day faster with this knife — it isn’t made for that. You will, however, be able to confidently pull out this knife in the most civilized of settings and not be seen as a threat. It will grab the attention of most like minded people, whether they have ever given carrying a knife a thought, or not. Civilized. Deliberate. Beautiful. 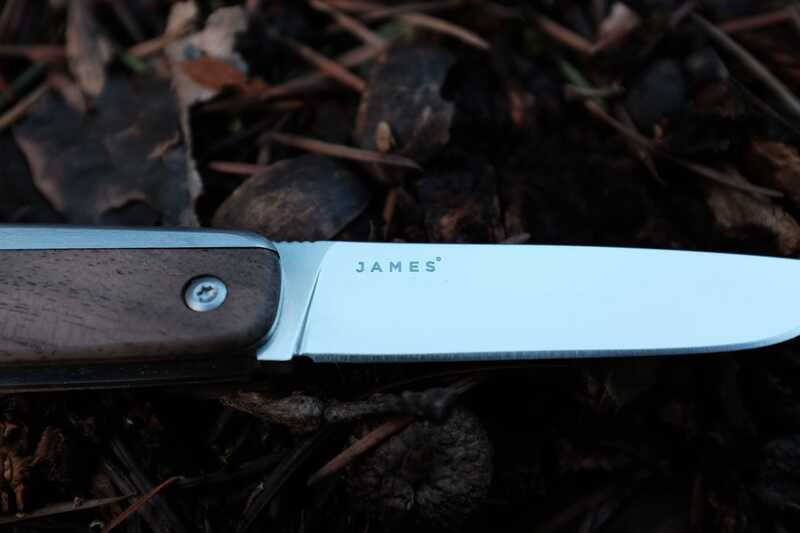 The James Brand County knife is in a category of its own.